Tunisia: cancellation of the general strike scheduled for 20-21 February - The Maghreb Times ! The general strike in the Tunisian public sector, scheduled for February 20-21, has been canceled, local media reported. 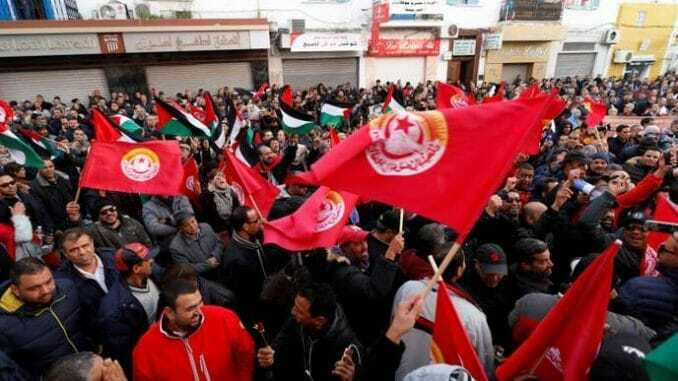 “This general strike, involving some 670,000 civil servants, was canceled as a result of the agreement reached between the government and the Tunisian General Labor Union (UGTT) on wage increases,” said Tunisian Minister of Foreign Affairs Mohamed Trabelsi, Thursday night. UGTT Secretary General Noureddine Taboubi called the deal a victory for the spirit of high responsibility. “The spirit of dialogue has been the most important factor in achieving these positive results,” added Taboubi. The second round of public sector salary increases will be launched in July 2019.